There are indications that the presidential candidate of the PDP is leading in various states across the country regarded as his stronghold. This is coming as INEC’s collation efforts get underway. The states include Benue, Taraba, Plateau, Ondo, Enugu, Edo, Imo, Anambra, Ebonyi, Abia, Cross Rivers, Akwa Ibom, Delta, FCT, Adamawa, Bayelsa, and Rivers. In Oyo, PDP is said to be leading, having won in 18 local governments so far according to our reporter. In Plateau, Atiku has won 11 local governments while President Muhammadu Buhari has taken three, with results from three other local governments being awaited. From the demographics, it shows Atiku is retaining his strongholds while making some progress in other areas that ordinarily are exclusive of the incumbent president. In Ondo, Atiku has won in 10 of the local governments whose results have been declared. In the FCT, our correspondent reports that Atiku has the upper hand although the official results have not yet been turned in. 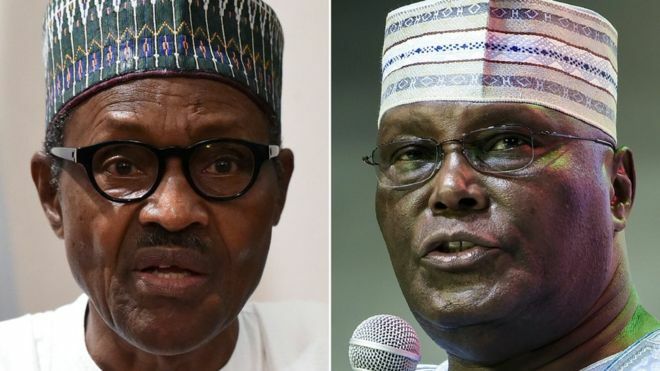 The battle between Atiku and Mr President shifts to the Northwest states, regarded as the president’s stronghold. Both men are locked in a battle for the Middle Belt states and other states in the southwestern parts of the country.